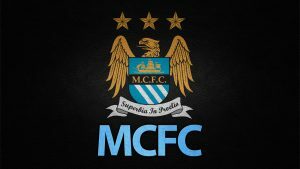 Anyone who knows anything about The Manchester City F.C. – Sierra Leone support team will be the first to tell you that this is an enthusiastic group that just don’t sit back waiting for handouts. Both the youth and the senior teams have worked very hard at making a name for themselves as a football club, and have been diligent at putting their own measures in place to be as self-supportive as possible. It must be remembered that Sierra Leone and Freetown is a poverty stricken locale. In the beginning, as dedicated as what the senior team was to their game, they had to miss many games that were organised far and away that eventually led to their suspension. It soon became apparent that the issue was not a lack of interest in the games, but that it was the cost involved in traveling to these games. A lot of players had no source of income and simply could not deal with these costs. Fortunately, a group of interested parties and fans back in Manchester UK immediately recognised the plight of the support team, and through joint efforts were able to raise enough money to buy a coach for the team. This was a world wide effort by fans and they should be highly commended for their efforts and dedication. The Manchester City F.C. – Sierra Leone Branch took on their responsibility of putting forth every effort to be proactive in their own fund raising ventures, and the bus gave them the perfect opportunity to do this. They are now using the bus as a paid for hire in the city which helps them raise money. This truly is a success story and one that should be used as an example of what team work truly can accomplish. Here, a large group of people, were put together to make something positive happen, and an event that held a great deal of importance in so many ways.